Bachelor of Arts (With Distinction): Stanford University, 1968; Juris Doctor: University of Michigan Law School, 1975. Jim also was for many years on the faculty of the Port of Seattle’s annual International Trade seminar. From 2000-2003 he served on the Board of Directors of the Maritime Law Association of the United States and subsequently served on a number of ad hoc committees by special appointment of its President. For many years he has volunteered to serve as a judge of numerous law school competitions sponsored by Seattle University, the University of Washington, the Maritime Law Association, and the University of Texas. He enjoys an AV rating (the highest rating obtainable for legal ability and ethical standards) from the Martindale-Hubbell law directory. 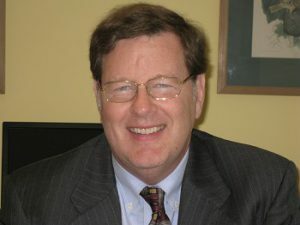 He has also been recognized and honored by a variety of rating services, receiving accolades as one of Washington’s Best Lawyers, one of Seattle’s top ten admiralty lawyers (CEO Magazine and Seattle Met magazine), rated “Superb” by AVVO, “Most Honored Professionals” (Top 1%), Who’s Who in American Law, and one of only four lawyers listed for Washington among leaders in the field of transportation law (Who’s Who Legal: Transport 2017). Publications: Deviation: Should the Doctrine Apply to On-Deck Carriage?, 6 Maritime Lawyer (1981), and papers at maritime law conferences and numerous articles regarding maritime law and practice in maritime periodicals. Professional Associations: Jim Whitehead is a member of the Washington State Bar Association, the Alaska Bar Association, the Maritime Law Association of the United States, and the Maritime Arbitration Association of the United States. Nancy is an experienced immigration lawyer, and personal injury lawyer. Her immigration practice focuses on asylum, family based immigration, citizenship, removal defense, waivers, and U Visas. Her personal injury practice focuses on motor vehicle accidents. Nancy represents individuals and families in the state of Washington. She dedicates a significant part of her practice to representing women and men who have been subjected to abuse. Nancy is passionate about her work and works diligently to find solutions for people from different countries and cultural backgrounds. She is a member of the American Immigration Lawyers’ Association (AILA), King County Bar, Washington State Bar, and the U.S. District Court for the Western District of Washington. Nancy is actively involved in non-profit organizations supporting immigrant rights. She works with Northwest Immigrant Rights Project as a pro bono attorney and participates in the King County Bar Association’s Legal Clinics. Nancy graduated from the Washington State Bar’s Law Clerk Program and received her undergraduate degree in Sociology from Washington State University. 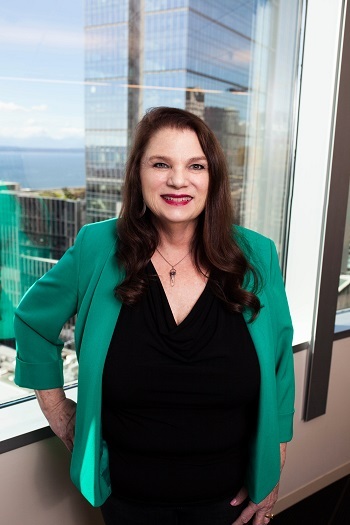 Prior to becoming an attorney, she worked for nearly twenty years as a certified paralegal in several prominent Seattle law firms. For the six years before she joined Jim’s firm, she was the office manager of a large insurance company’s in-house law department. In 2017 Nancy was awarded the 10 Best Attorneys Award for Exceptional and Outstanding Client Service for Washington State, 2017 by The American Institute of Legal Counsel.